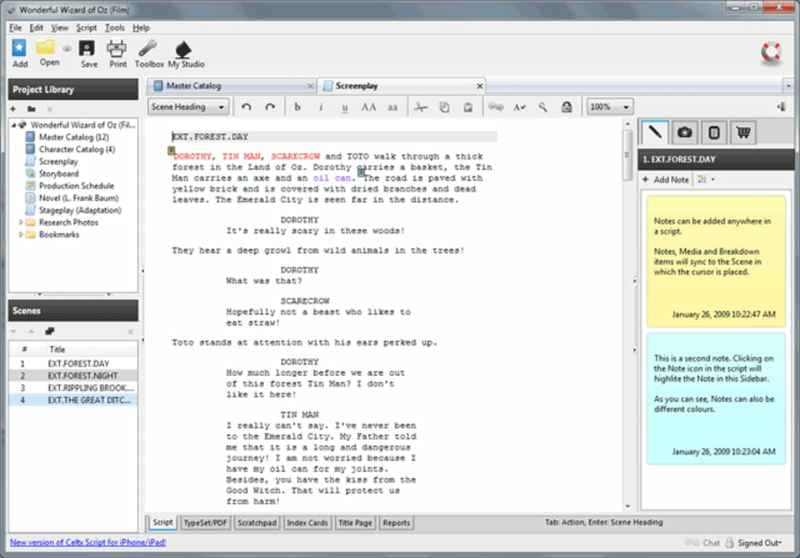 Final Draft is widely considered as one of the finest screenwriting tools available. It is very expensive however and Celtx tries to offer a free alternative. 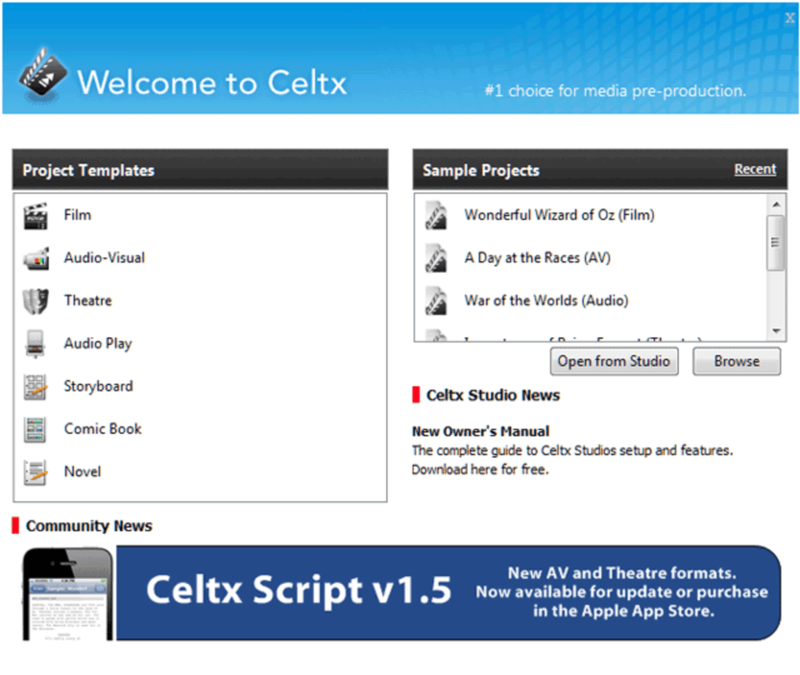 Celtx, however, tries to cover both the screenwriting and pre-production processes, in a software package that combines what it calls 'full-feature scriptwriting with media rich pre-production support'. It's also ideal for those that want to collaborate from a distance because it allows you to post and edit online. 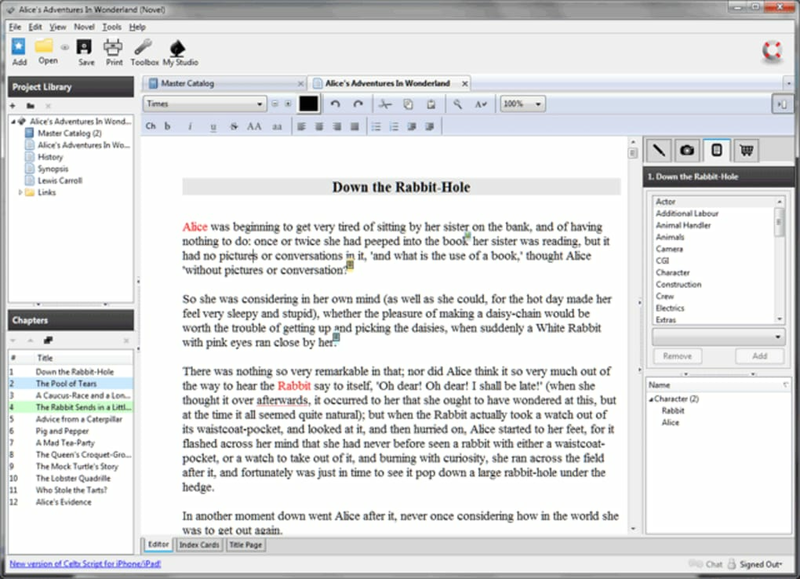 Celtx is certainly better than using Word as your script software, but it can hardly be compared to Final Draft. However, it is free and that's got to be a big positive for struggling aspiring writers. 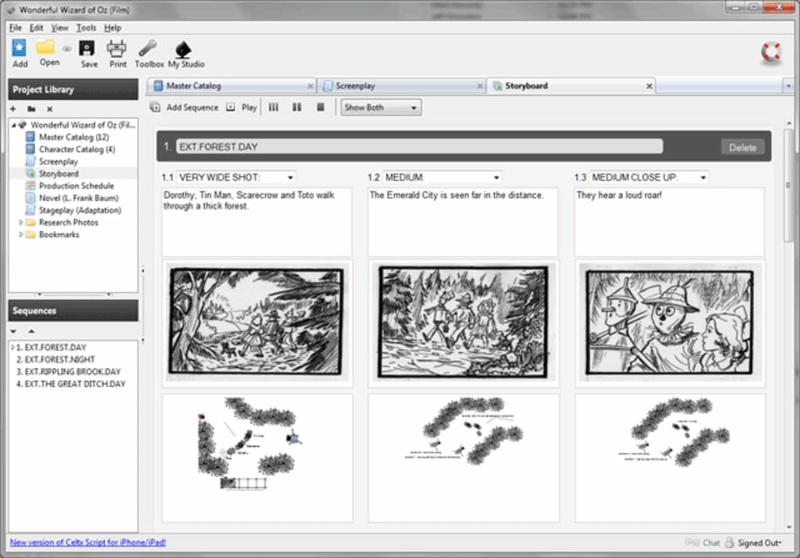 Celtx helps you in the formatting of your script and breaks it down so it's easier to analyze and edit. Many users have reported the emphasis is on screenwriters rather than playwriters but it could easily be adapted for the needs of the latter. It's not clear how the collaboration features work however. Celtx is supposed to support online collaboration but there's no clear way of setting this up inviting other users. Overall, considering it's free, Celtx is an excellent tool for anyone that's disillusioned with Final Draft or is on a shoestring budget. Celtx is a comprehensive software package designed for people who work in the Film, TV, Theatre and New Media industries. 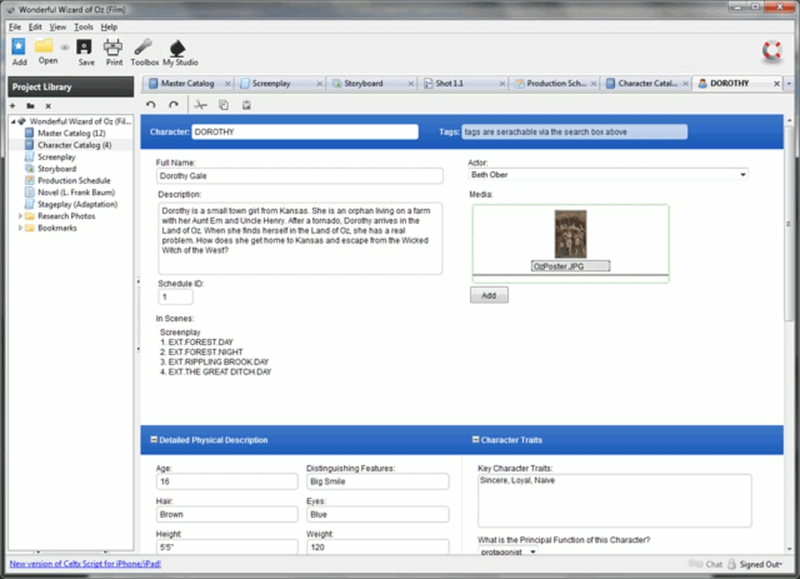 It combines full-feature scriptwriting with media rich pre-production support and enables online collaboration. 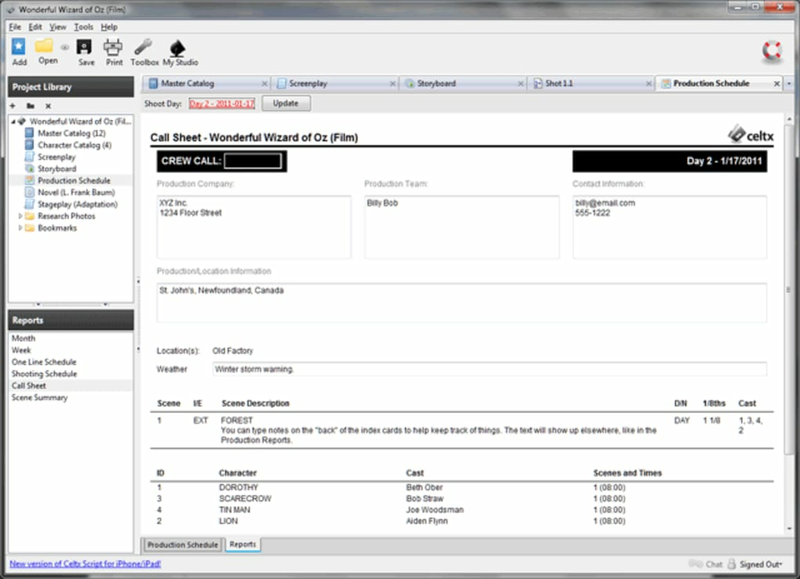 Scripts written or imported in to Celtx can be broken down digitally and, for the first time, easily shared with others to foster collaboration and creativity during the pre-production and production phases of film and TV making. this app was using nicely and type very easily. so download for all versions. Great. 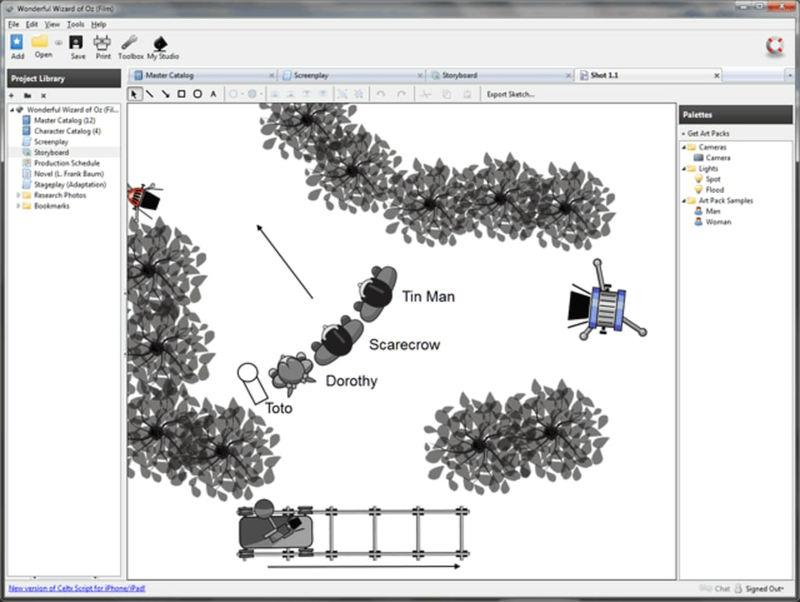 Really fantastic software. I use it for every project. It's fully replaced word and OpenOffice. Pros: Very efficient and has a fantastic character database. 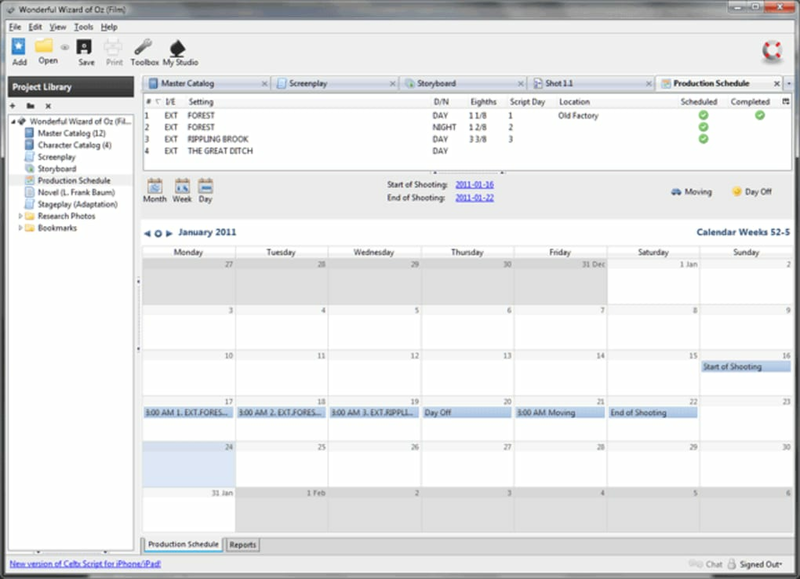 Multiple options for all written tasks. Version not as advertised.. Celtx is fine...the reason THIS is getting a bad review is because it SAYS it's v.2.9.1, but when I download it the version I get is v.2.0.2 (what I already have). Perfect for what I do.. I very much enjoy using celtx. I'm going into grade 12 next year, and as a kid who doesn't have a lot of cash to throw around, it's nice to have such a solid, professional tool for my pre-production work. Free and easy-to-use!. Not as strict in formatting as Final Draft, but still a powerful and easy-to-use program. I use it often and I have my students take advantage of it as well.